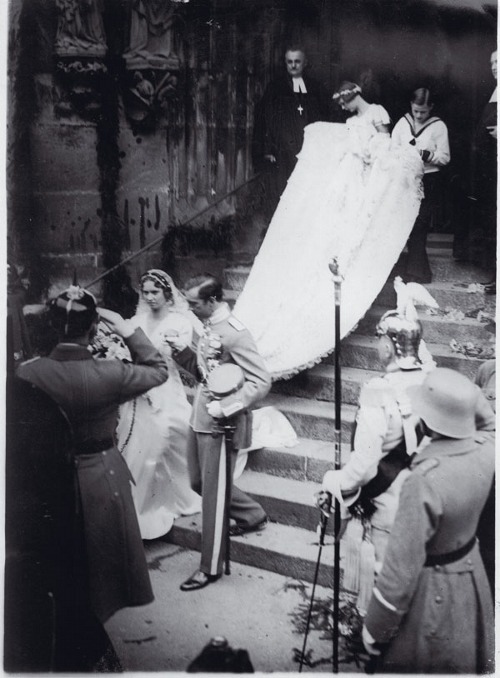 On the 19th of October, 1932, Prince Gustaf Adolf, Duke of Västerbotten married his second cousin Princess Sibylla of Saxe-Coburg and Gotha in a civil ceremony. The church wedding took place on the 20th. The couple would have five children. The prince would die in a plane crash in 1947 – he was second in line to the throne at the time. This entry was posted in History, On This Day, Photography, Vintage and tagged 1930s, 1932, European Royalty, On This Day, Photography, Sweden, Swedish History, Vintage.